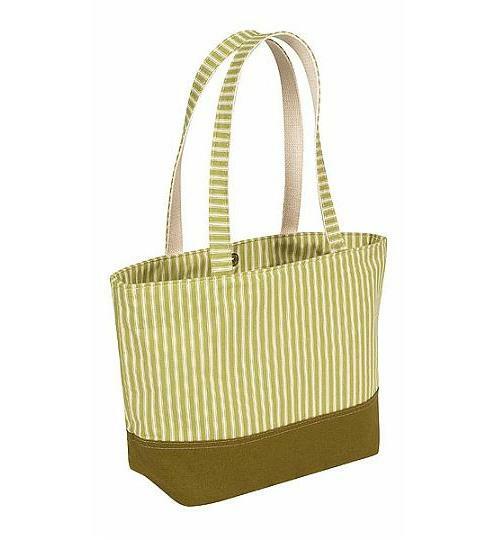 A fresh, contemporary design utilizing a traditional, favorite fabric. 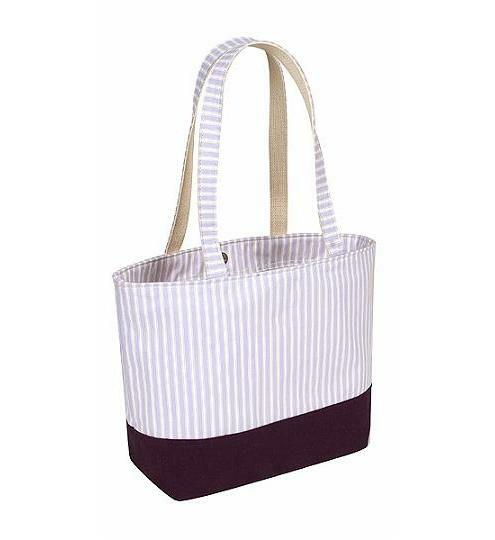 Our Calypso tote is now offered in distinctively rich ticking stripes with a solid coordinating bottom. 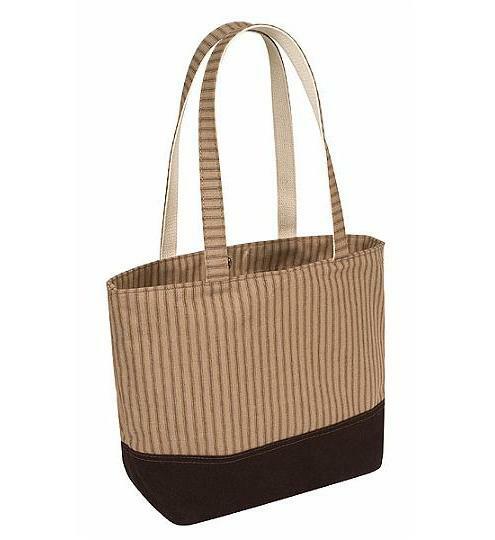 Shoulder length straps, magnetic snap closure, and accessory pockets provide for convenient use as a handbag. Constructed of heavy 18oz. 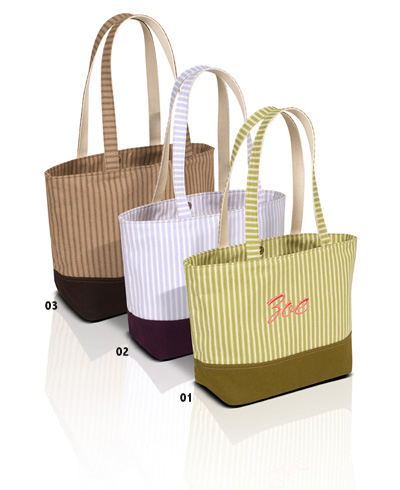 natural cotton duck line for stability as well as durability, these totes feature a much more reliable companion than traditional fabric handbags. Add a monogram for that distinctive touch.